After having pitched our tent for the fourth night in a row on a recent trip through the eastern Sierras, the conversation turned to self contained 4-wheel-drive camping vehicles. The VW Westfalia Syncro (which happens to be covered the current issue of Overland Journal) came up. Only about 1500 of these rare, 4×4 campers were sent to the US between 1986 and 1991 and prices have risen into the $40k–$50k range for clean examples and into the $80k range for restored ones. Back at home I wondered if anyone still produces a small 4×4 camper that could be considered a spiritual successor to the old Syncro Westy. 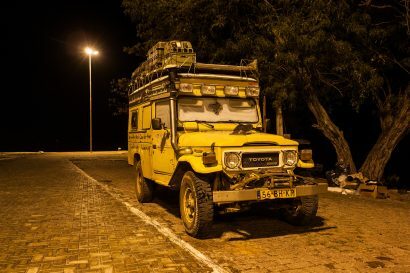 My research turned up the Fuso Earthcruiser from Queensland, Australia, the spiritual home of overlanding. The Earthcruiser is built on a Mitsubishi Fuso 4×4 light truck chassis and features a turbocharged diesel engine and a pop-top camper. Four-wheel-drive systems vary depending on the buyer’s specifications. The available 5-speed manual transmission is mated to a 2-speed transfer case and offers traditional 4-wheel drive. The available 6-speed automatic offers all-wheel drive and a single speed transfer case. Either spec includes a limited slip rear differential. 37″ tires are standard and enable a 3-foot (900mm) fording depth. All that and it’s still compact enough to fit in a standard shipping container. Inside the Earthcruiser offers about 80 sq. ft. (7.5 sq. m) of sleeping, cooking, showering and living space. 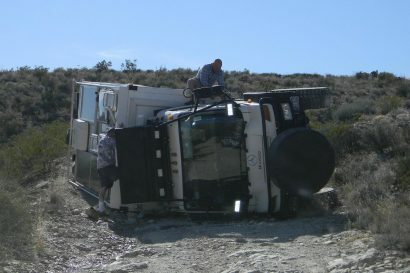 The vehicle also includes 23.8 gallons (90l) of water in two tanks. Not only can the water system purify water from any nearby stream, it can provide hot running water and showers (indoor or outdoor—your choice) with a Webasto diesel hot water heater. 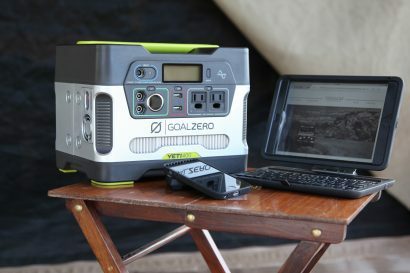 This same unit heats the interior air and, on the North American model, the house batteries and water tanks—a boon for winter camping. As far as electricity goes, a solar panel-assisted system will power the living space for up to ten days (given clear skies). After that, it’s simply a matter of topping up the house batteries with the engine alternator. The Earthcruiser is available in the US for $220,000. While it’s not quite the spiritual successor to the Syncro on price, it does seem to step up the old Westy’s game quite a bit. Update: Optional water tanks up to 71.3 gals. (270l) are available. 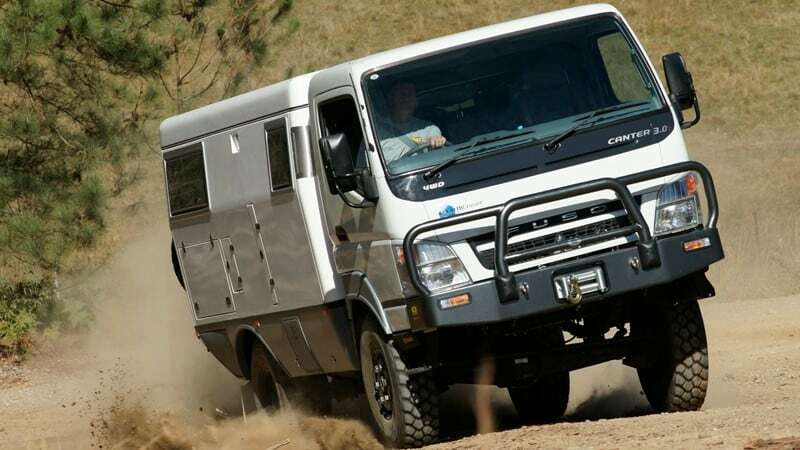 Click here for a link to a video about the Fuso Earthcruiser.